Create an eye catching look with the mini glitter eyeliner. Defines the eyes and adds a touch of sparkle. Easy to apply and lasts for hours. Turn clockwise to ring out the formula and turn counter clockwise to retract. 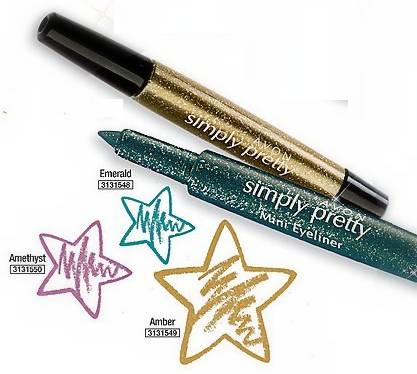 Avon Simply Pretty Glitter and Shine Collection Mini Eyeliner is actually a tiny makeup product. It believe it's only a few centimeters longer than a matchstick. Packaging. The twist mechanism located at the bottom part of the product is loosed when I first opened it. Perhaps, it's damaged. Overpriced for 0.2 grams of makeup product. Although it's still affordable at Php 79. I had to reapply the eyeliner a lot of times before the color comes out because of it's compact texture. It leaves lumpy residue on the eyes during application. What a waste of product. 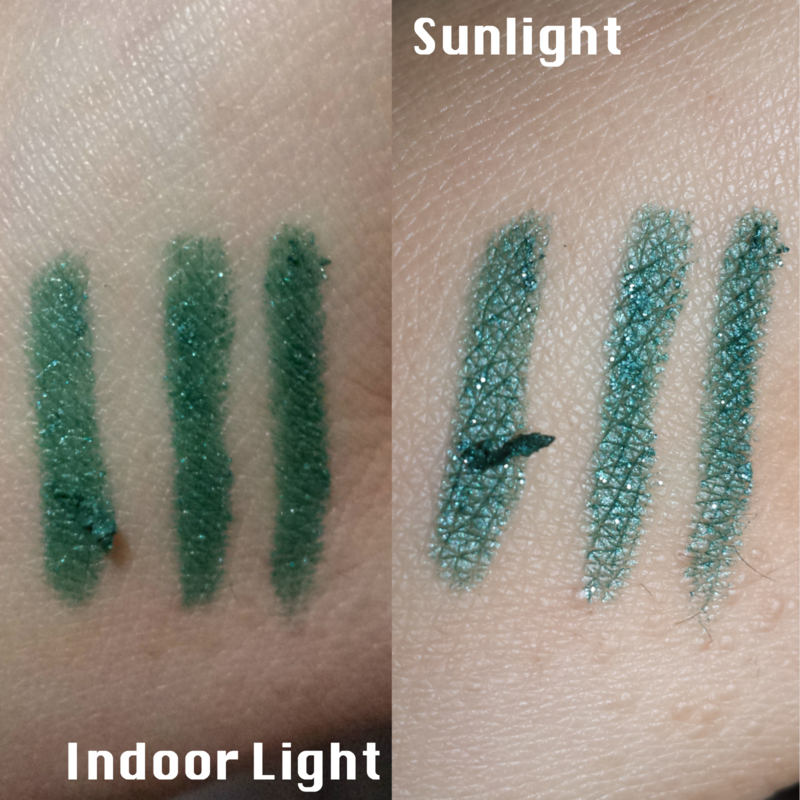 Check out the swatches I've made below. I'm actually a fan of Avon but the Avon Simply Pretty Glitter and Shine Collection Mini Eyeliner is a big NO, NO. I hope you find this review hopeful. What do you think of the Avon Simply Pretty Glitter and Shine Collection Mini Eyeliner? Have you tried this makeup product? Do let me know your thoughts in the comment section too. wow this is gorgeous and lovely shade! The colours is verry pretty!